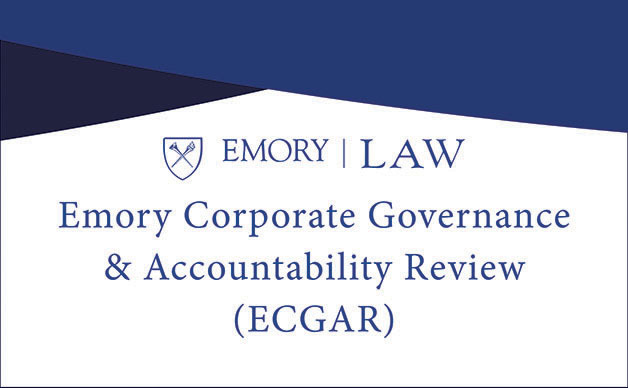 In its special-edition inauguration issue, the Emory Governance and Accountability Review (ECGAR) highlights various expert opinions on matters for the incoming Trump administration to consider. As we stand days from a significant transfer of power, ECGAR is privileged to have insights from attorneys focusing on examples in environmental law, trade law, compliance and risk management, labor law, and trial advocacy. Professor Robert Percival, an internationally recognized scholar on environmental law, provides guidance and advice to the Trump administration regarding the U.S. Environmental Protection Agency. Percival suggests possible agency leaders and tactics to transcend the political gridlock and accomplish President-Elect Trump’s goals. Potential changes for the Foreign Corrupt Practices Act (FCPA) are highlighted in Thomas Fox’s piece on enforcement and compliance under President-Elect Trump. Fox is one of the country’s leading experts on FCPA compliance, risk management, and compliance. Fox explores the FCPA’s history and how compliance benefits businesses overall, particularly American businesses. He argues that the FCPA’s ability to protect businesses from bribery and corruption helps to foster U.S. interests abroad and that compliance should not be cut off. Charlotte Garden is an associate professor at the Seattle University School of Law and is an expert in labor law, the general regulation of the workplace, and employment law. Garden writes on how labor law may evolve in a Trump administration by looking at how changes at the National Labor Relations Board (NLRB), the federal courts, and Congress could affect the labor law landscape – particularly as it applies to unions. Before closing her piece, Garden provides priorities the labor movement may pursue in light of the emerging reality and presumed politics of the Trump administration. Looking to the criminal justice system, J.C. Lore, III and Jason S. Kanterman scrutinize criminal justice reform and prisoner reentry. As the director of trial advocacy at Rutgers Law School and a co-author of one of the country’s leading books on trial advocacy, Lore, along with Kanterman, provide insight as to why reform will be important for the Trump administration. In their discussion of how reform should be implemented, the authors highlight the importance of prisoner reentry programs in the prison reform system and the benefits of utilizing them. These authors are a small selection of the many accomplished legal minds who have contributed to ECGAR’s special edition inauguration issue. The contributors to this special edition have each leveraged their diverse backgrounds, industries, and institutions to speculate on, and provide advice to, the Trump administration over the next four years to build upon ECGAR’s mission to identify and address the parameters of corporate responsibility.